In July this year, the Law Commission of India (LCI) called for a one-day consultation on the death penalty. Politicians, journalists, lawyers and activists presented their views on this sensitive matter. The result is the commission's latest report, which recommends abolishing the death penalty, except in cases of terrorism. 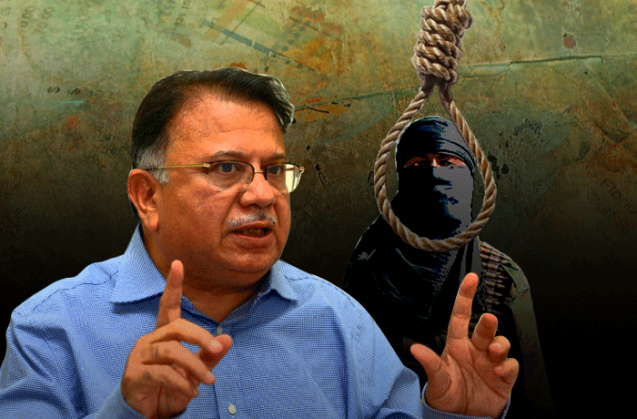 On 31 August, Justice AP Shah, the chairman of the Law Commission of India, said capital punishment in constitutionally unsustainable. While this may be what the doctor ordered, the question remains whether the government will take the recommendation up. As the report suggests, during the Constituent Assembly debates, several questions were raised about the principle of the death penalty: its judge-centric nature, arbitrariness in imposition, discriminatory impact on people living in poverty and possibility of error. Despite the debate, the laws set by the British were retained and, 68 years down the line, there is enough to show that the apprehensions of the Constituent Assembly members were not unfounded. Since 1947, 760 people across 13 Indian states have been executed for various crimes. Shockingly, states like Bihar and Tamil Nadu don't even have any record of executions carried out. The late Dr APJ Abdul Kalam even made a statement which raised the same issues as the Constituent Assembly debate and the Law Commission report - that the death penalty strikes mostly against the poor and downtrodden. Also read: Does the death penalty only stalk the poor? Globally, there is a strange trend. More and more countries are turning towards its abolition, but the number of people sentenced to death shows an upward climb. In 2014, the number was up 28% against 2013, despite 140 countries abolishing it. India chooses to be part of a small group of nations that insists on retaining it. It suggests that after years of research and debate, there is global consensus now that capital punishment does not serve as a deterrent any more than life imprisonment. This contravenes what the commission's own 35th report stated. The report states that while retribution has an important role, it cannot be reduced to vengeance. This stems from the assumption that the crime committed by the criminal on the victim should be met with an equal punishment. The 'eye for an eye' treatment means that the aspects of restoration and rehabilitation in justice are ignored. Additionally, the problem with justifying the punishment on the basis of an outraged society is that it fails to address the most pertinent question: does the accused deserve the death penalty? It's not just about the sentence. Prisoners on death row face extreme anxiety and the agony of an impending execution. The prisoner is also subject to solitary confinement and harsh prison conditions. These circumstances lead to a situation which is near torture. Does the prisoner deserve that? Besides, there are problems with arbitrary sentencing. There is no principled method to prevent death sentences from being awarded randomly. The LCI has also picked holes in the clemency powers that rest with the President, which is the final safeguard against the miscarriage of justice. It also points to a larger systemic issue at hand - we exist in a society where the administration of criminal justice is extremely poor. Reliance on the death penalty has diverted attention from more entrenched issues like crime prevention, poor investigation and the victims' lack of rights. To address the systemic problems in India's criminal justice system, the report emphasises the need for a sound witness protection program and police reforms. The report says India is ready to abolish capital punishment with immediate effect. However, it includes a caveat. It suggests the punishment should stay on in cases of terrorism. What is surprising is that the report says there exists no evidence to treat terrorism separately from other crimes but, in the same breath, suggests it should be retained. This is because concern is often raised that abolishing the death penalty in terrorism-related offences and waging war would affect national security. In light of its own recommendation that retribution should not be reduced to vengeance, and that the basis of punishment should not be society's cry for justice, how does the Commission justify death sentences in cases of terrorism? Around the time Yakub Memon was hanged on 30 July, capital punishment was a point of debate yet again. At that time, irrespective of the many voices rising against it, the State chose to stay on the side of capital punishment. Whether the government will act on the LCI's recommendations in a favourable manner is unclear. It remains to be seen whether the government will alter its principles and only stand by the exception. Bred in Bombay, breaking bread in Delhi, Deepa is the founder of GrassRoute India - an independent, non-partisan organisation that enables dialogue between Members of Parliament and citizens. 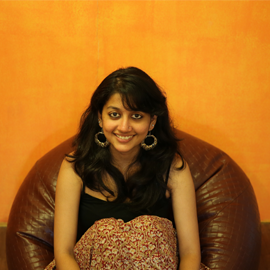 A former LAMP Fellow, Deepa tracks and writes on Indian legislation and policy. If not found online, Deepa will be lost travelling through India.